Hurry over and save up to 40% off TOMS shoes for Women, Men and Kids! There are tons of adorable styles &amp; super comfy shoes for the whole family starting as low as $18.99! Shipping starts at $6.95 and typically goes up about $2 when you add a second item. 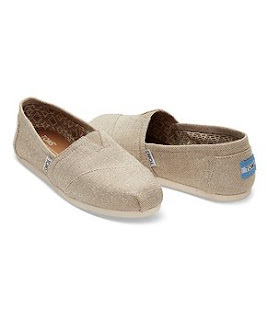 If you plan to spend less than $75, consider buying one pair of TOMS, pay $6.95 shipping, and then you can then go back and order another pair (or however many you like) and shipping will be FREE since they offer free shipping for 24 hours after placing an order.